Meyer lemons are lovely and in season from November to March. Preserving them now is a great way to keep them around for months! You can add these to anything that could benefit from a lemony kick, like chicken noodle soup, baked fish or chicken, braised lamb, and roasted potatoes… but really, I add them to everything. Juice one lemon, being careful to remove the seeds. Cut the remaining lemons into wedges (leave the peel on) and remove the seeds. Toss the wedges with the lemon juice and salt, coating thoroughly. Put the lemon mixture into a mason jar, pressing into the jar as tightly as possible. 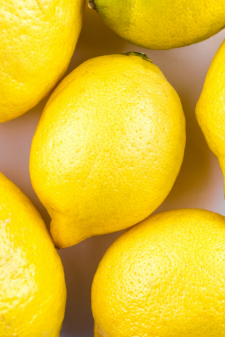 Make sure the lemons are completely covered with juice and salt before you put on the lid. Keep the jar on the counter for one week, and shake it every couple of days. After a week, the peel will be translucent and the lemons are ready to use. Transfer the jar to the refrigerator and they will keep for months! 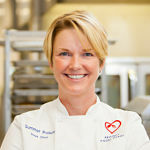 Smmer Polson is Project Angel Heart’s sous chef. She grew up in Aurora, Nebraska, and Brookville, Ohio, raising paint horses and a bunch of pets on her family’s hobby farm. After earning culinary arts and food service management degrees from Johnson and Wales University in Charleston, South Carolina, Summer moved to Colorado. She cooked in a restaurant in Colorado Springs and at the Denver Country Club before coming to Project Angel Heart in 2008. This entry was posted in From the Kitchen and tagged preserving, recipe, winter produce by Hannah Koschnitzke. Bookmark the permalink.